The third investment wave from South Korea is now at its peak, according to Moon Byungcheol, Commercial Counsellor at the South Korea General Consulate in HCM City. Addressing a South Korea-Việt Nam trade exchange event in HCM City late last week, Byungcheol said his country began investing in Việt Nam in the 1990s, starting with labour-intensive projects. Since 2005, South Korean enterprises have shifted their investment to manufacturing and electronics, which was considered the second wave. The third wave began in 2009, with rising numbers of investment projects and greater project scale in traditional areas, along with expansion to new areas such as food processing, consumer goods, service and entertainment, the commercial counselor said. He cited CJ Group as a typical example of the third South Korea investment wave in Việt Nam. 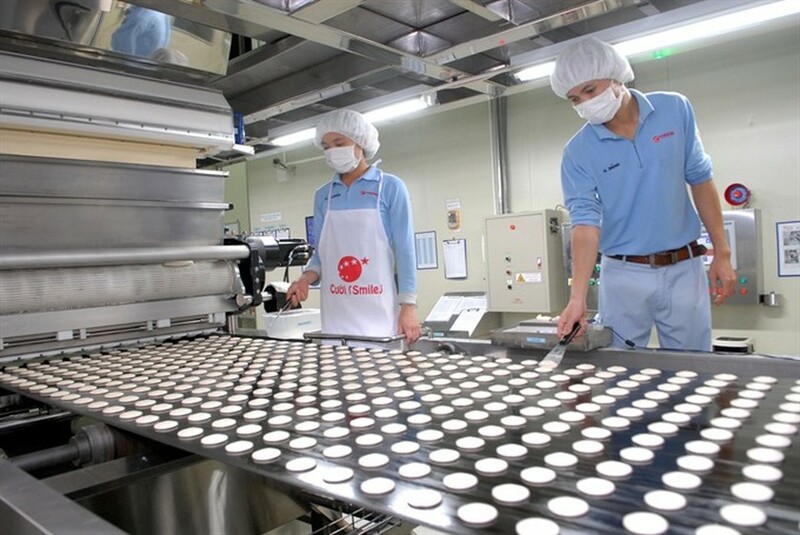 Chang Boksang, director of CJ Việt Nam, said the group entered Việt Nam in 2005 and now has 12 companies operating in a range of areas, from food processing, fertiliser and feed, to TV shopping and film production and distribution. CJ Việt Nam is now employing more than 4,000 workers, and its revenues this year are estimated at VND17 trillion (US$769 million). According to Kim Inho, chairman of the Korea International Trade Association (KITA), the Vietnamese Government’s open policies on foreign investment has attracted foreign enterprises, including those from the South Korea. In addition, Việt Nam’s stable economic growth amidst the world economic crisis is another reason for South Korean enterprises to boost investment in the country. He also acknowledged Việt Nam’s progress in international integration through signing many bilateral and multilateral free trade agreements (FTAs). In particular, the Việt Nam-South Korea FTA, which took effect at the end of 2015, has opened a new era in trade co-operation between the two countries and created a driving force for the South Korea’s third wave of investment into Việt Nam, Kim added. Figures from the Việt Nam Chamber of Commerce and Industry (VCCI) showed that, as of the end of October this year, there were 5,593 projects invested by South Korean companies in Việt Nam, with total registered capital of $50 billion. South Korea-invested firms contribute close to 30 percent of Việt Nam’s total export value and provide jobs to more than 700,000 labourers. Thirty-five South Korean businesses in the fields of agriculture, food processing, cosmetics, information technology and environment last week met with local businesses in Cần Thơ City to explore business opportunities in the Delta region. Kang Jong Sang, director of Hansung T&I Co Ltd, said the company planned to build a factory in Cần Thơ to produce agricultural machines for the Delta market, including forklift truck, tractor and pesticide spraying equipment, among others. Shin Young Soo, director of NE BIO Company, said his company wanted to invest in the agriculture sector in the region to develop farmhouses, produce organic fertiliser as well as natural growth solutions. The Mekong Delta is currently calling for investment in 50 projects in agriculture, with a projected total investment of $1.39 trillion, according to the VCCI’s Cần Thơ chapter. Speaking at a recent investment forum also held in Cần Thơ, Võ Hùng Dũng, director of VCCI Cần Thơ, said an increasing number of foreign investors were coming to the Delta to explore business opportunities. Foreign direct investment (FDI) in the region had increased sharply in recent years, he added. As of last year, FDI in the region had reached 13 percent of the country’s total FDI, a sharp rise from 5 percent recorded for many years, according to the agency. FDI reached $1.67 billion in the first nine months, accounting for 10.2 percent of the country’s total FDI. As of last month, the region had attracted 50 agricultural projects with total registered capital of $209.6 million. Speaking at the meeting, Nguyễn Minh Toại, director of Cần Thơ province’s Department of Industry and Trade, said that a number of foreign delegations had visited the Mekong Delta this year, most of them from Japan, South Korea, Thailand and India. South Korean investors have expressed interest in high-tech agriculture, food and beverage processing, he said. The fact that the region still receives less FDI than many other regions in the country is due to a lack of information, he said. In addition, there are challenges facing the region, including limited options for heavy industry, a shortage of skilled labour, environmental and climate risks and weak supporting services, he added. To attract foreign investment, the city would create a hassle-free investment climate, improve road infrastructure, enhance human resources, improve vocational training, diversify investment models and enhance service and entertainment sectors, Toại noted. The Mekong Delta is the third-largest industrial region after the metropolitan areas of HCM City and Hà Nội. Transport connections to HCM City have greatly improved in recent years. Many of the Mekong Delta provinces boast an excellent investment climate. The meeting was co-organised by Cần Thơ Business Association and Department of Industry and Trade.